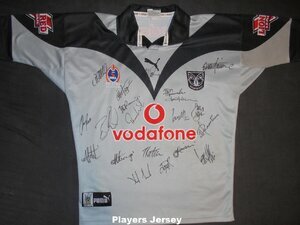 Opposite to the home jersey being silver and black. Part of the Warriors complete overhaul of the jersey. OFFICIAL REPLICA - For some reason the sizing on these jerseys were huge compared to previous seasons. As with the home jersey of this year the away version was sold in large numbers. Really not that rare at all and even signed replica's dont go for much money. 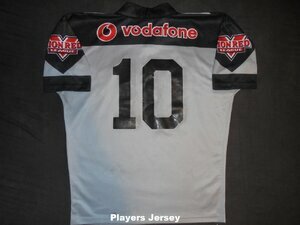 PLAYERS JERSEY - Same as the replica but with a taper and black number on the back. Some of the tapers were really extreme.